If you own a pet the time will come where you will need to know how to remove pet feces from your carpet. If the stain is rather large and nasty and you live in Sarasota, Fl, consider calling Superior Rapid Response carpet cleaners. 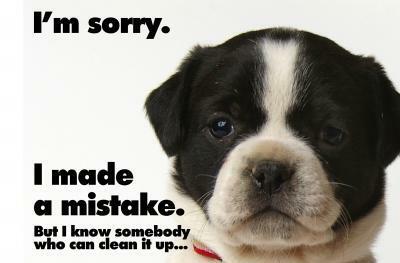 Our technicians are trained to handle the toughest pet stains. 1. Attend to the stain as soon as possible. Older stains are harder to remove. 2. Using a doggy bag, paper towel, newspaper or toilet paper remove as much of the waste as possible. Be careful not to rub the waste deeper into the carpet. 3. Mix a solution of 1 tablespoon of liquid dishwashing soap and 1 tablespoon of white vinegar with 2 cups of water and pour into a spray bottle. 4. Test this solution on an inconspicuous area of your carpet to make sure it does not discolor your carpet. 5. Spray the solution on the stain, agitate, and let the solution sit for 5 minutes. Do not aggressively rub the solution into the carpet. You might damage the carpet fibers. 6. Blot with a clean white towel. 7. Repeat this process until the stain is gone. 8. To remove any lingering orders, sprinkle baking soda on the stain, let dry and vacuum the area. This home remedy should solve your problem until you are ready to have your carpets professional cleaned by Superior Rapid Response.